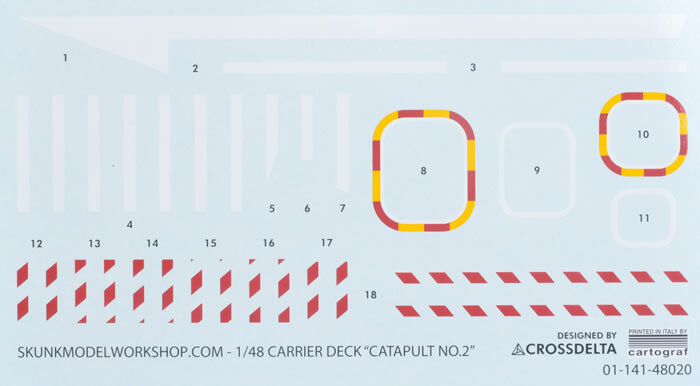 The deck will look great with a crouching Tomcat ready to launch or a Prowler or Super Hornet being taxied to the catapult or attached ready to launch. Highly Recommended. 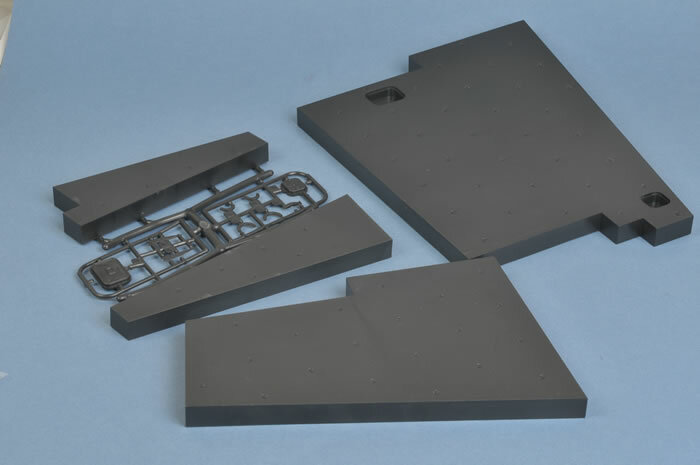 Skunkmodels Workshop has produced this brand new kit that depicts the catapult and blast deflector section of the USN Nimitz flight deck. 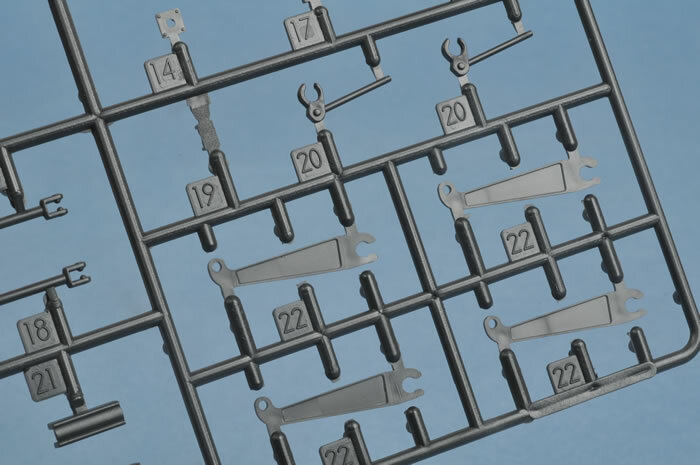 The parts are moulded in black and medium grey injection moulded plastic to a superb standard with nice detail. 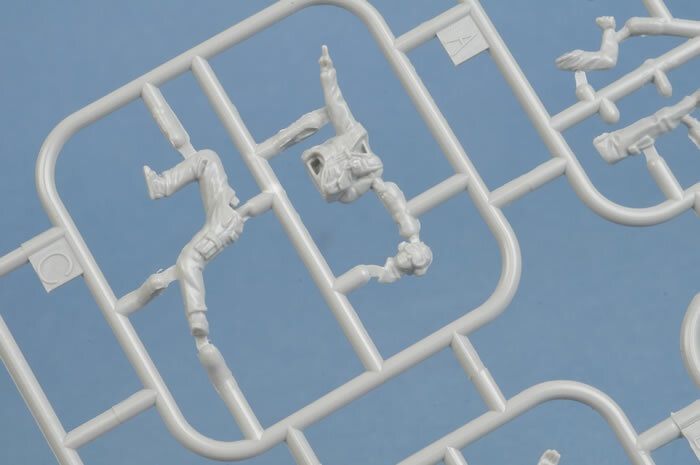 The deck is made up from 49 plastic parts with 6 photo-etched metal parts. 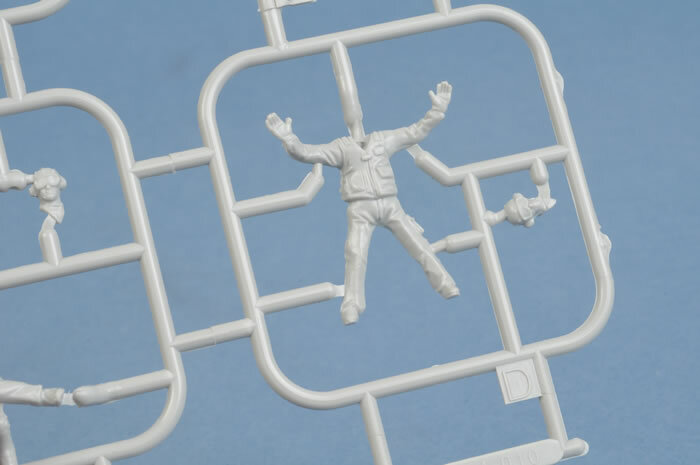 The detail is so finely moulded that the deck has a fine grainy finish and the prominent aircraft tie down rings have been faithfully reproduced. The deck is a jigsaw puzzle of sections that snugly fit together. 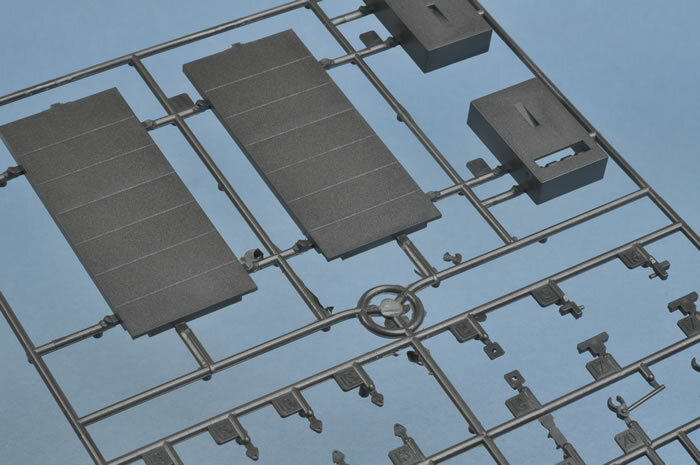 Moulded into the deck are the two equipment wells along with the flush fold down hatches. 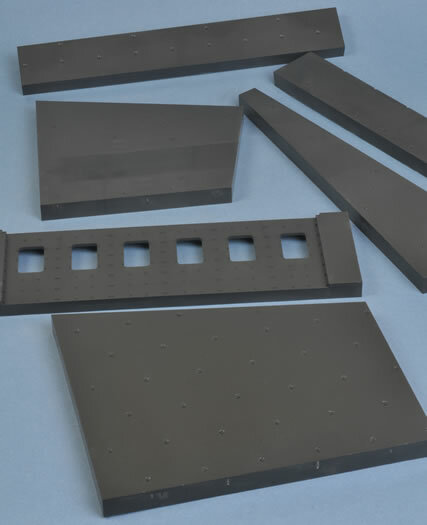 The blast deflector wells and actuating mechanisms are well formed and have great detail. The rear of the blast deflectors have the reinforcing matrix faithfully reproduced. 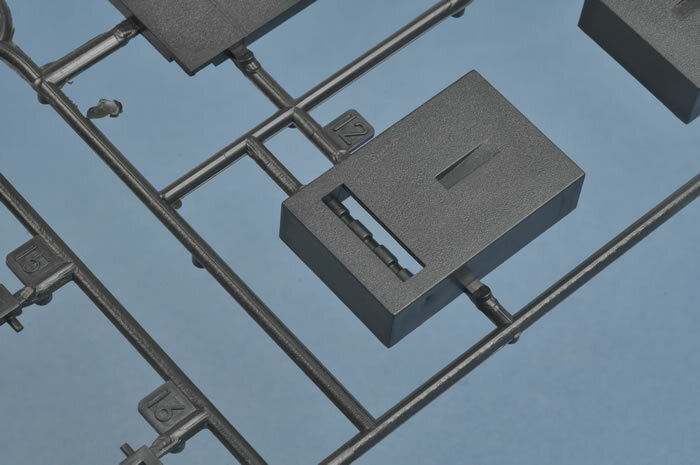 The catapult track is produced in etched metal and will need to be glued down with cynocrylic super glue or similar. 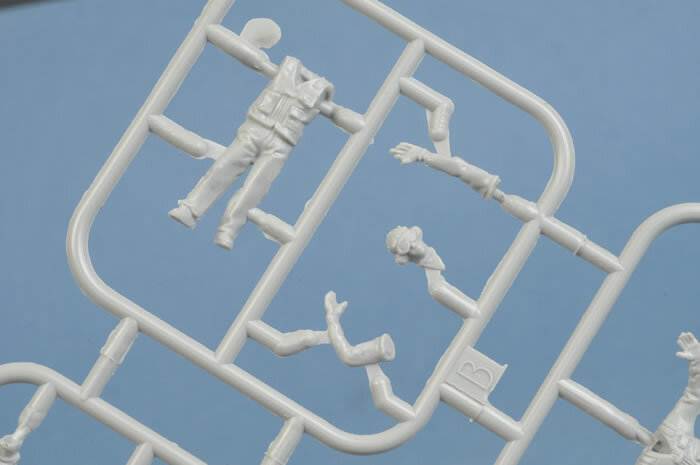 Four deck crew figures are also included in the kit. These are in the form of personnel performing marshalling or launch processes. All figures have nice clothing detail and excellent face detail. 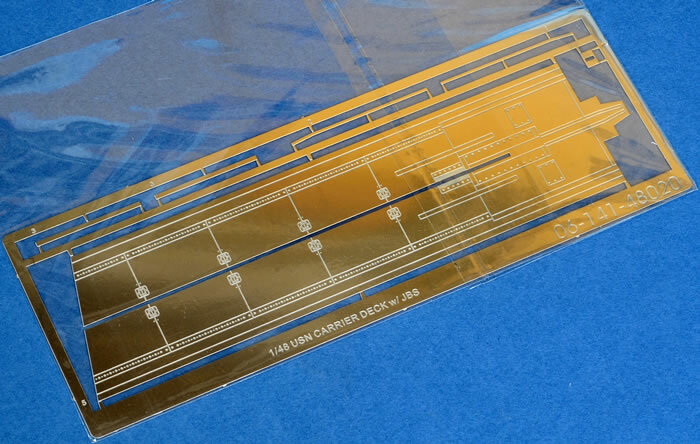 A high quality decal sheet with deck markings printed by Cartograf rounds out the package. 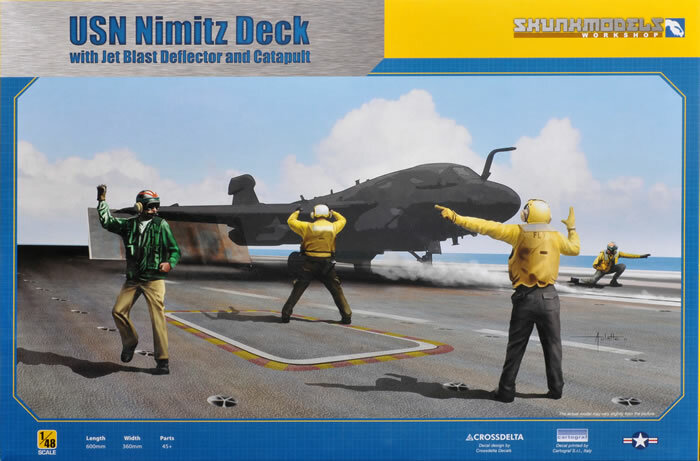 The deck will look great with a crouching Tomcat ready to launch or a Prowler or Super Hornet being taxied to the catapult or attached ready to launch.